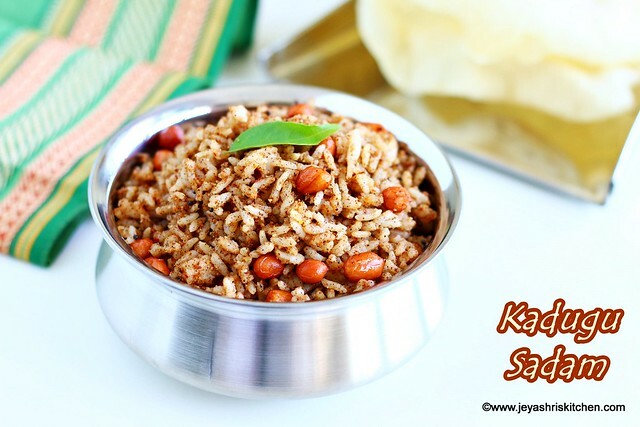 Kadugu sadam | mustard seeds rice, is a traditional no onion no garlic South Indian rice variety, can be prepared during festivals like kannu pongal or aadi perukku. 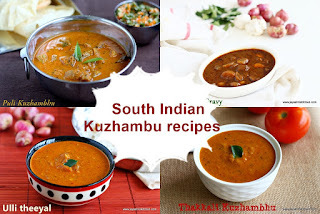 The recipe of kadugu sadam comes with step by step pictures and video too. 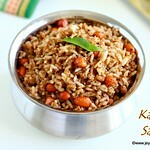 I have posted many South Indian rice varieties like Karuvepillai sadam, kothamalli sadam, Iyengar puliyodarai and more. 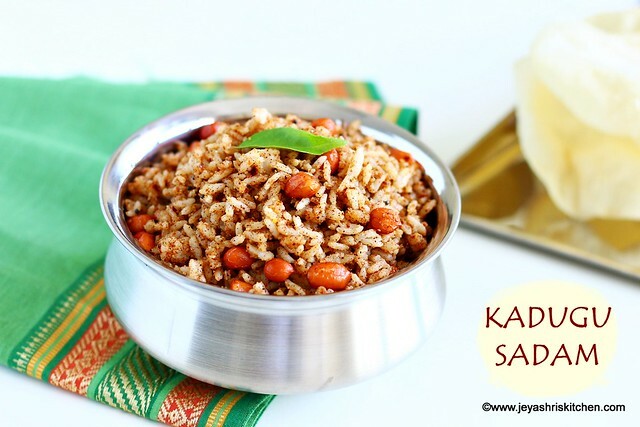 This kadugu sadam is very easy and simple to make, you can make the spice powder mix in advance and mix it with rice whenever needed. 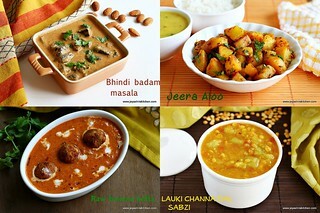 Check out my complete collection of Pongal festival recipes. 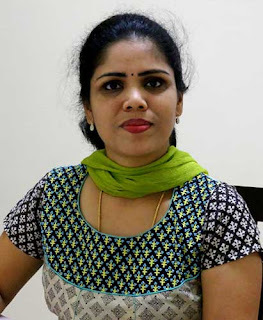 Description: Kadugu sadam | mustard seeds rice, is a traditional no onion no garlic South Indian rice variety, can be prepared during festivals like kannu pongal or aadi perukku. In a pan dry roast the ingredients mentioned under 'To roast and grind'. Dry roast till the dals turn golden color. Allow them to cool. You can add 1-2 tblsp of kopra too. If using fresh coconut, roast them for 2 minutes and then add. 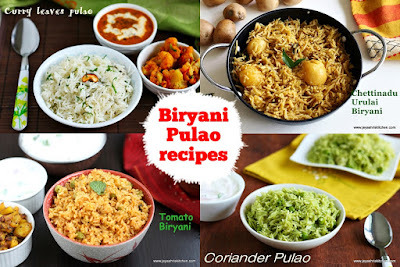 Cook the rice into separate grains, spread in a wide plate and keep it aside. Raw rice works well for this. Grind the roasted ingredients into a fine powder. 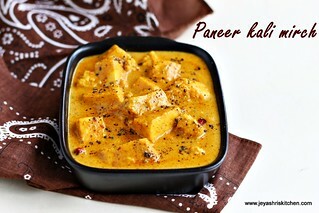 In a pan add the cooking oil and add the mustard seeds, peanuts and curry leaves. Once the peanuts are done, switch off the flame. Transfer it to the plate where we spread the rice. 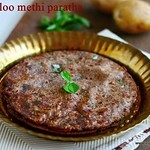 Add the ground kadugu powder mix. Add salt and 2 tsp of sesame oil. Mix everything evenly and gently, without breaking the rice. Kadugu sadam is ready to serve. 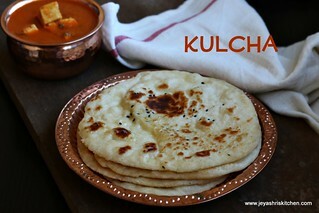 This tastes best with appalam or vadam. 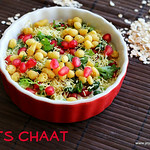 You can serve along with a veg raita too. A small piece of tamarind can be added while roasting the spices. This kadugu powder can be made before hand and mixed with rice whenever needed. 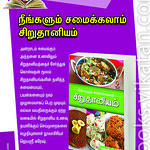 Koparai can be added while grinding to enhance the taste of the Kadugu sadam.